The 2493-24 M12™ Cordless 4-Tool Combo Kit includes the M12™ 3/8" Drill/Driver (2407-20), M12™ 3/8” Square Drive Impact Wrench (2451-20), M12™ 1/4" Ratchet (2456-20), and M12™ Work Light (49-24-0145). The innovative M12™ cordless system is designed to deliver the power and torque required for professional applications, in a size that reaches the tightest and toughest places. Powered by RED LITHIUM™, the M12™ cordless LITHIUM-ION system offers unmatched power, speed, and tool belt portability. Drill and fasten up to 35% faster with the only tool in its class that has an all-metal locking chuck. 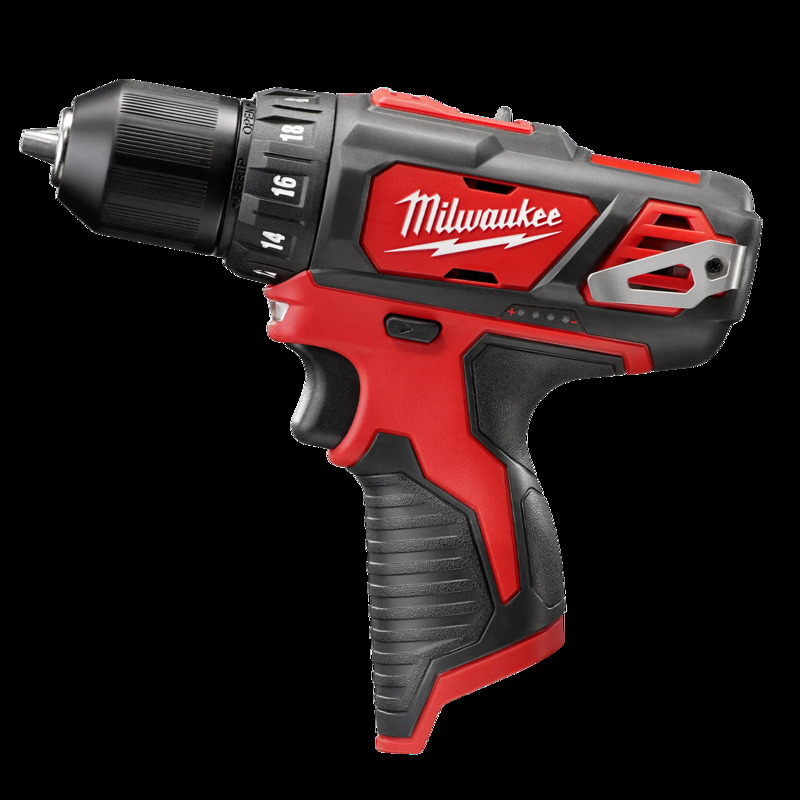 The powerful M12™ Cordless Lithium-Ion 3/8” Drill/Driver delivers 275 in-lbs of torque – up to 25% more torque than the competition – and 0-400/0-1,500 RPM. Its compact, lightweight and durable design means greater comfort and efficiency on the jobsite. The all-metal single-sleeve ratcheting chuck offers superior bit grip, so you won’t have to stop for bit retightening or lost bits. The onboard LED light and fuel gauge help you increase productivity and avoid interruptions. The REDLITHIUM™ Battery Pack (sold separately) delivers more work per charge and more work over pack life than the competitors. Choose the sub-compact ratchet with best-in-class power, speed and durability. The M12™ Cordless 1/4” Lithium-Ion Ratchet is the ideal tool for auto mechanics, maintenance and repair professionals looking for maximum performance and productivity in a subcompact cordless tool. 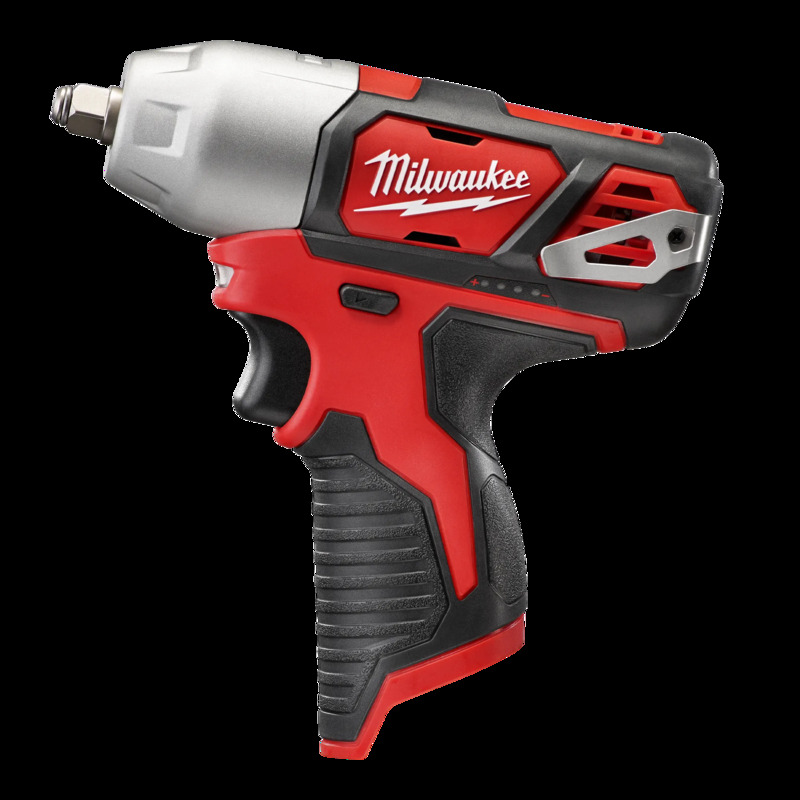 It utilizes a powerful 12-volt motor to produce up to 30 ft-lbs of torque and 250 RPM, giving users the power and speed of a pneumatic ratchet without the airhose. It’s powered by the M12 REDLITHIUM™ Battery Pack (sold separately), which delivers more work per charge and more work over pack life than the competitors, as well as best-in-class performance in extreme jobsite conditions. At just 10-3/4” long and 1.9 lbs, the ratchet is tool-belt portable, and features a 3/4" low-profile head design for work in the tightest of spaces and engine bays. The variable-speed metal trigger and reinforced steel housing provide maximum control and durability with any application. The M12™ 3/8” Impact Wrench delivers 1,200 in-lbs of torque for the toughest fasteners, up to 20% more than the competition. The forged steel impact mechanism provides maximum durability. The compact, lightweight design allows for fastening in the tightest spots. Additionally, an on-board battery fuel gauge displays remaining run time.